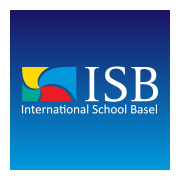 ISB is a not-for-profit, co-educational day school serving students ages 3-19 with the three widely acclaimed programmes of the International Baccalaureate (IB) at three separate campuses. These include the Primary Years Programme (PYP) for ages 3-11, the Middle Years Programme (MYP) for ages 11-16, and the Diploma Programme (DP) for ages 16-19. The administration and faculty are committed to providing a student-centred education that fulfills its mission: to help our students learn more, in many different ways, and to have fun learning in a safe, caring, and helpful community of teachers and learners. The school promotes cultural awareness, respect, and appreciation for people of all nationalities, religions, and cultural backgrounds. Description Swiss taxes will apply. Taxes will vary depending upon taxable income, marital status, number of dependents and place of residence. Description Savings potential will depend upon the specific family situation and lifestyle. Description Accomodation, flights, utilities and furniture are paid privately by the staff member. A relocation allowance (receipts are not required) is offered for teacher positions. Description A set moving allowance (receipts not required) and relocation assistance is offered to teachers who are relocating from outside the Basel area. Description Upon successful admission of their children to ISB, full-time teaching staff with contracts longer than 12 months would pay the following tuition fees minus any pre-tax amount received from the company of the employee’s spouse: 1st child in school:	10% of full fees 2nd child in school:	10% of full fees 3rd child in school:	40% of full fees 4th child in school:	50% of full fees Specific information would be discussed at interview. Description Medical insurance is private pay. The school covers the cost of accident insurance. Description The school covers the cost of disability insurance. Description The school and employee contribute to the employee pension fund.